Green Leaf Lawn Service has been providing people with great lawn care services, and landscaping options, and even Tulsa Christmas lights, for over 30 years all while being able to give back to the school as well. What school am I talking about? Any school, at all, that you desire! You are the reason that they are donating, and you get to pick a school that they donate to! Just keep on reading, to learn more about this amazing opportunity. 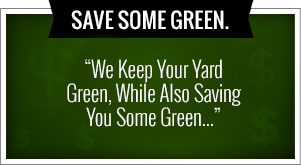 The phone number to Green Leaf Lawn Service is 918-640-6405. Once you call Green Leaf Lawn Service, and start getting any of their amazing lawn care services, or any services that they have to offer at all, such as snow removal, planting seasonal flowers, sod installation, shrub removal, anything like that they are going to provide a small donation, to the school of your choice. You get to pick the school, and they will donate money, for every single new service that you start with them. Let’s say that you start getting some of their amazing landscaping services, and then you add some Tulsa Christmas lights installation, that is going to be two different donations, that they make, to the school of your choice because of you! Green Leaf Lawn Service really has a heart, for furthering the education, in our children and this is a way to give back to the local community, and make it a better place. The experts at Green Leaf Lawn Service, really have a heart for the community, and want to make sure that our community is a great one, and a great looking one. That’s why they are lawn care specialists, and that is why they are providing a donation, to the schools to help make sure that our community stays a great place. Green Leaf Lawn Service provides so many different services, that if I were to name them all, we would probably be here for a very long time. I’m just here to tell you today, not about all of the different services, but telling you today that any type of service you are needing, whether it is something like Tulsa Christmas lights and snow removal, or gutter cleaning, or anything at all, in regards to do with your lawn, the best people that you should call, the only people that you should call, is Green Leaf Lawn Service. They are the experts that have been doing it for so many years, and they are the people, the one place in Tulsa that can provide you with these types of services and still offer a chance to give back to the local community. Definitely give them a call, and let them provide you with a free estimate on all of the different services that they can offer you. The phone number to get this estimate that is free is 918-640-6405. Remember, Green Leaf Lawn Service is the place that is going to help give back to schools, while providing great services. Let me ask you something, when you go outside to remove snow from your driveway, do you get cold? Do your hands start to freeze? Are you constantly blowing on them to try to keep them warm? Why not just get rid of all of that hassle, and call the experts that can provide you with amazing snow removal. Green Leaf Lawn Service, is able to do more than just snow removal to, they can provide you with installation on some great Tulsa Christmas lights, they can provide you with all sorts of different complete lawn care, and maintenance. Call them at 918-640-6405. When you call Green Leaf Lawn Service, and let them provide you with such great services, you do not have to worry about things like frostbite, when removing your snow, you do not have to worry about slipping off of your ladder and hitting your head when installing Tulsa Christmas lights, you have to worry about getting hit by a really random stick while mowing, because they would provide you with complete lawn care. You should start getting excited, that this article is about Green Leaf Lawn Service, because now you can start using them for any lawn need that you do have, and every lawn need that you might have. Green Leaf Lawn Service can even do landscaping, and provide you with sod installation, they can even plant different flowers are seasonal, they can clean your gutters out for you, the list just keeps on going. The reason why you should use Green Leaf Lawn Service, is because they can provide you with all of these great things, including the installation, and even the removal of your Tulsa Christmas lights, and they are going to make sure that your lawn, your yard, looks so incredible. So start using them, so they can actually make this a reality. Are you one of those people, that has always had a vision on how they are going to look like? Because I know a couple people like that, that is have had a specific way that they want their yard to look. 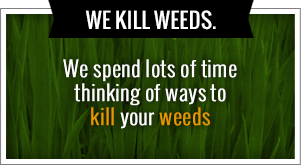 Well, you can let the experts at Green Leaf Lawn Service actually provide that for you, and make your vision, into a real, reality. All you have to do is call them, and tell them exactly what your wanting. And they can provide you with an estimate of what it will cost, and they will do this for free for you. So really, I have no idea what you are waiting on, because you should be calling them right now. If you are ready to start calling them right now, then pick up your phone and start dialing 918-640-6405. Also, if you would like a free estimate, on other things such as their Tulsa Christmas lights, even their weed killing, or their small tree removal and installation, or shrub removal, you can go to the website, and get a free estimate that way as well as calling them.